Wait, am I the only one who wants to type Detergent every time instead of Divergent? Yes? Oh...ok. Anyway. 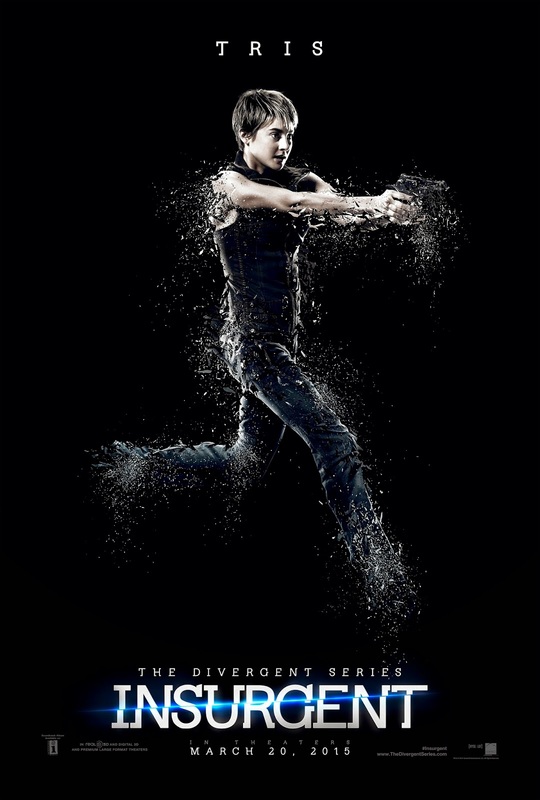 fans of the Divergent series will be happy to learn that the next installment in the series, Insurgent, will be in 3-D. The rest of us, however, are cringing at the mere thought that this sequel will could be three dimensionally far more awful than the first film. Oh, the horror. Clearly, it's become an unspoken rule that most every YA adaptation has to be in 3-D now. But am I the only one worried about how wooden Shailene Woodley's acting (and everyone else's in the cast, for that matter) will be in bold 3-D? It just...hurts my head. But, you know, maybe the first film was a rough start and THE DIVERGENT SERIES: INSURGENT will be when it really gets good. Maybe. The Divergent Series: Insurgent raises the stakes for Tris as she searches for allies and answers in the ruins of a futuristic Chicago. Tris (Woodley) and Four (Theo James) are now fugitives on the run, hunted by Jeanine (Kate Winslet), the leader of the power-hungry Erudite elite. Racing against time, they must find out what Tris’s family sacrificed their lives to protect, and why the Erudite leaders will do anything to stop them. Haunted by her past choices but desperate to protect the ones she loves, Tris, with Four at her side, faces one impossible challenge after another as they unlock the truth about the past and ultimately the future of their world. I will say this about the franchise: it's introduced me to the beautiful Theo James, so that's something. Also, as I reported previously on the site, Octavia Spencer has joined the cast as the leader of the Amity faction, which is also a good look. I haven't read the book, so I'm curious how large her role is. And, to that point, whether Maggie Q's lab role will expand in the new film as well (she is so much better than a fleeting cameo). The rest of the cast remains the same (Jai Courtney, Zoë Kravitz, Miles Teller, Ansel Elgort, Maggie Q and Mekhi Phifer). THE DIVERGENT SERIES: INSURGENT hits theaters March 20, 2015.